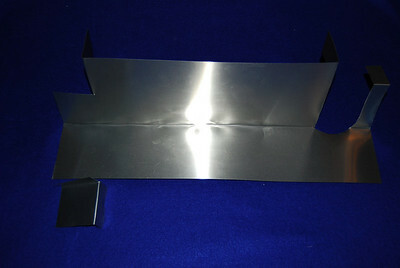 One of the ways to improve the efficency of the fridge is to add a baffle that will force air through the cooling fins. 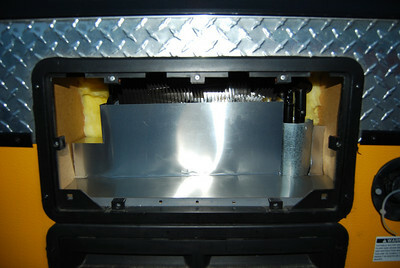 As seen here air could come up from the lower chamber and exit the upper chamber without going though the cooling fins. 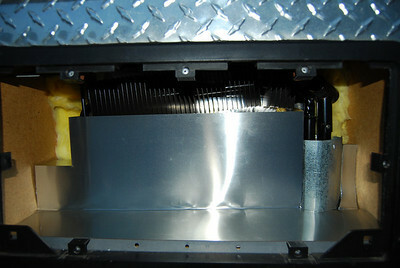 The baffle in place. 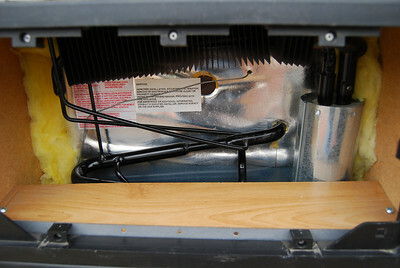 I plan to add a couple screws to secure the baffle to the plywood underneath. 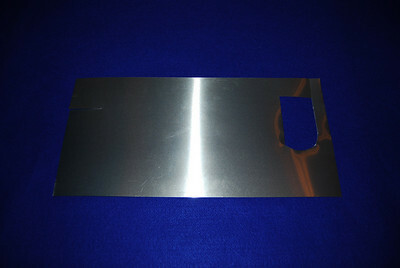 A closer view of the baffle. My next project will be to add two small computer fans to increase circulation. Another way to improve the fridge efficiency is to install fan(s) to pull fresh air from the outside via the bottom compartment up through the colling fins and then out side through the top louvers. Also note on the left side of the compartment I've mounted a remote thermometer that I can use to monitor the compartment temperature. 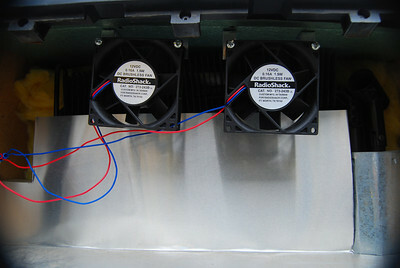 Closer look at the fans. 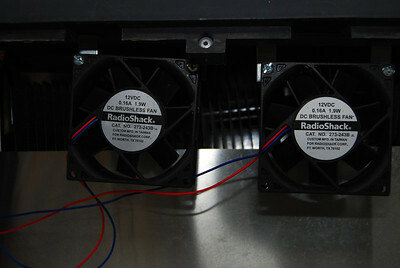 The fans are 12 vold computer fans from Radio Shack Each uses 1.9 watts. 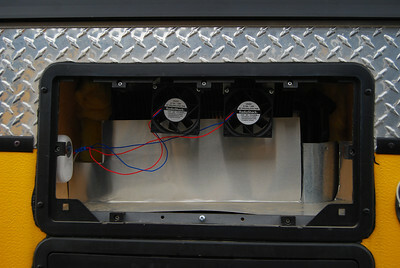 The wiring got complicated because in addion to the fans I had to a pump,, two switches, and two fuses. 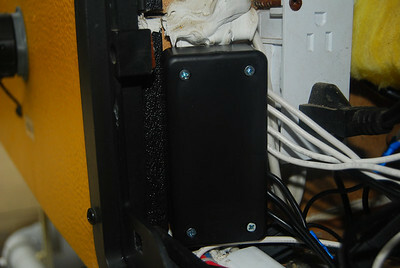 I ended up wiring everything onto the barrier strip and placed them in this project box. 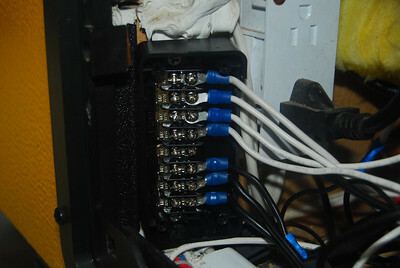 NOTE THERE IS A BREAK IN THE JUMPER STRIP BETWEEN THE POSITIVE AND NEGATIVE WIRES. Here is the project box with its cover. 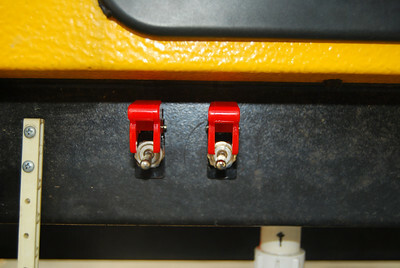 Two switches. 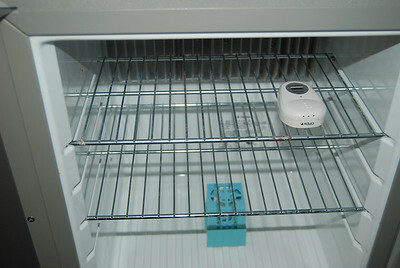 The one on the right is for the fridge fan. 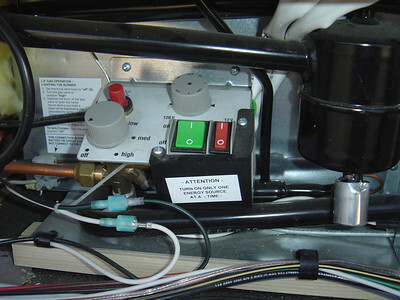 The one on the left is for the water transfer pump see water mods.